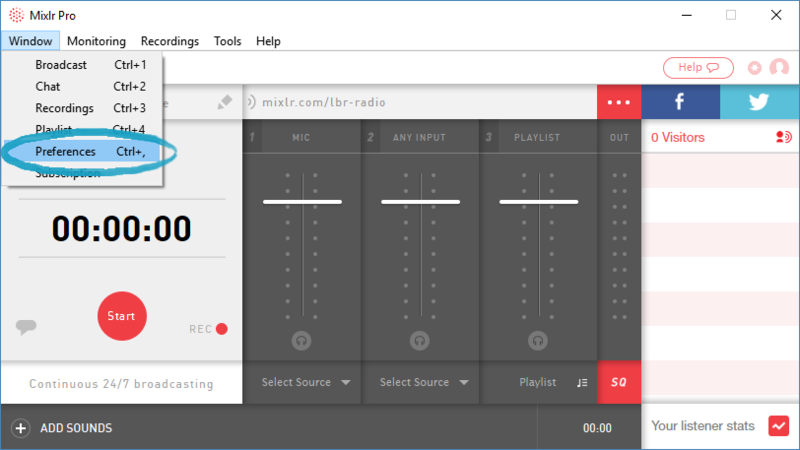 If you are Monitoring your broadcast you may notice a small delay in the audio signal from external applications or devices that are connected to the Mixlr desktop app. 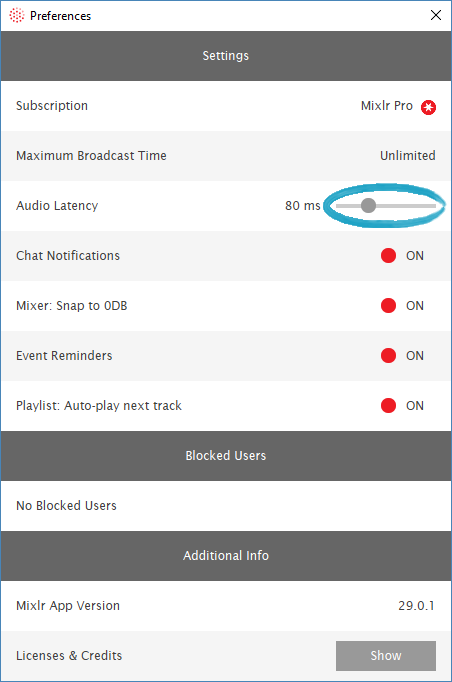 This article will show you how you can reduce this by adjusting the latency of the Mixlr desktop app. Use the slider to the right of 'Audio Latency' to adjust the latency. This can be dragged to the left to reduce latency or to the right to increase it. TIP: Setting this too low may reduce the quality of your audio signal so if you notice any issues with this try increasing the latency.